STOP Telling Your Preschoolers To Share and Take Turns! Stop Telling Preschoolers to Take Turns and Share! These are words, phrases and statements heard so often in preschool classrooms. Teaching preschoolers to share it a year long journey! 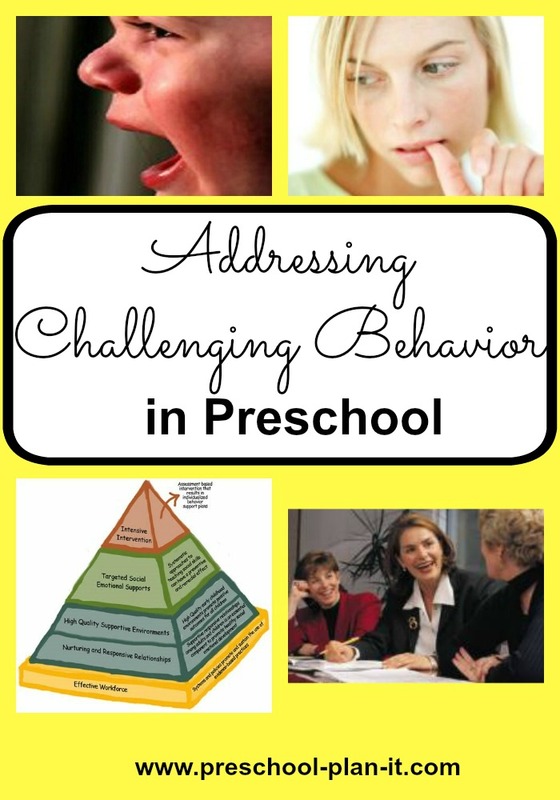 There are everyday challenges in the preschool classroom and this is a huge one! No matter how many times you remind them to share or take turns, the preschool tug-o-war continues. It feels pretty challenging even if it IS developmentally appropriate, for sure! What’s a teacher to do? We need to remember that it is our role, as the adult in the room, to help guide our children through the situations they face in the classroom each day--not prevent it or punish for it. Sure, we certainly should know what triggers children to react negatively and do our best to provide an environment that does not create negative behavior. We can provide multiples of popular toys and materials. We can provide a space in the classroom to build that super high block structure that is not in the middle of the room and, therefore, in the major path of traffic. There are many other areas we can observe, assess and do. Most importantly, we need to be teaching preschoolers to share not just telling them to do it! Today I want to suggest something you should STOP doing. Now. 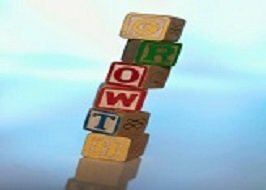 Stop using words like "Take Turns" or "We share the toys in school" and start showing them what that actually means! There's a big difference between telling preschoolers to share and teaching preschoolers to share! We tend to think they know what it means to share or take turns, mostly because we or their parents have said it day in and day out! But really, have we ever taken the time to really explain and show what those words mean? Have we taken the time to think about what those words mean versus how we apply them to children? What we sometimes have shown them is that sharing means relinquishing what they have to another child and that a person's turn is over when an adult says so, not because a person is done using an item. I mean, let's face it, if you have 12 cars in front of you, you can share with me. If you have 1 car in front of you, short of cutting it in half, you can't share it! And, if you have the one car I want to use, we can take turns. However, what does that mean? Usually the teacher sets a timer for 5 minutes and tells you that when the timer goes off, it's my turn. But what if you are having that car go up that crazy, awesome block ramp you just built and it has to drive through the (imaginary) snow and mud to get to the top. Now....you must decide......will it go down the ramp or will it use its transformer wings to fly out of the snowstorm? Right when you are decided the fate of this car, the timer goes off and you are told that it's MY turn to use it. BUT--YOU WEREN'T DONE USING IT YET! I used the timer method for a long time until I realized that it's not up to me to decide when or how long a child's turn is. It is up to the person using the item! 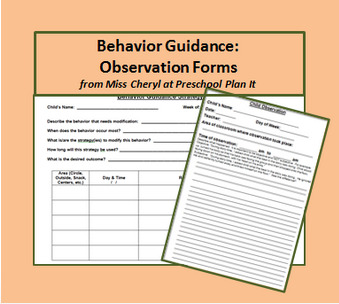 developing Preschool Behavior Management Techniques? Click Here for my Free Download. Let's say another adult in your home is using the one laptop in the house. They are sending an email or writing a paper. If you ask them if you can use the laptop (aka: have a turn) when they are done, what happens? Most likely they respond with "Sure! ", they finish their email or paper and let you know when they are done, right? Would you ever set a timer for 5 minutes and, when the timer goes off, go over to that person, take the laptop out of their hands and say "Timer went off--my turn."? Of course not!! The person who is using the laptop knows when they are done. It shoud be handled the SAME WAY with children! You: Playing happily with potential flying car in the block area. Me: I want to use that car. You: But I'm using it right now. Me: But you've had it for a gazillion minutes. MISS TEACHER! She won't let me use the car!!!! Teacher: You need to share (or you need to take turns)! You: Well, it's my turn right now! Me: But I want a turn!! Teacher: We'll set the timer for 5 minutes and then it will be Cheryl's turn. 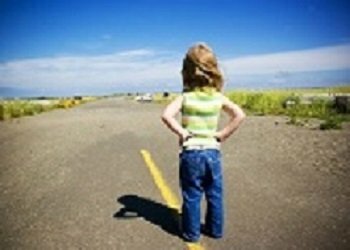 Instead, it is my belief that we need to let the child decide when their turn is over. It might be in 5 minutes; it might be at clean up time. If that happens, you can always put a note on the toy or item that says "Cheryl's turn is tomorrow" and let me use it first tomorrow. We need to approach every challenge as an opportunity to teach problem solving skills, including what sharing really means. And what taking turns really means. Children cannot learn to negotiate problems if they are not allowed to have them. 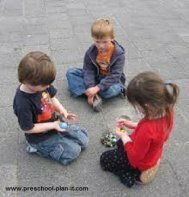 Summary: When Teaching Preschoolers To Share - Let Them Struggle a Bit! No, I don't mean "duke it out in the playground"! And I also don't mean teacher intervention. So stop taking away the toys that "cause problems" and start giving the tools children need to negotiate through these life skills they will use forever called Sharing and Taking Turns!